In a recent situation, even a disease has been utilised as a source for robbery! A wife has lied to her husband and claimed she had cancer in order to pull-off a shocking and heartless scam. We know cancer can be treated up to a certain stage, but cancer recurrence is also a heavy possibility for sufferers of the disease. Thus, people try hard to survive by undergoing Kimo Therapy and other medical treatments. 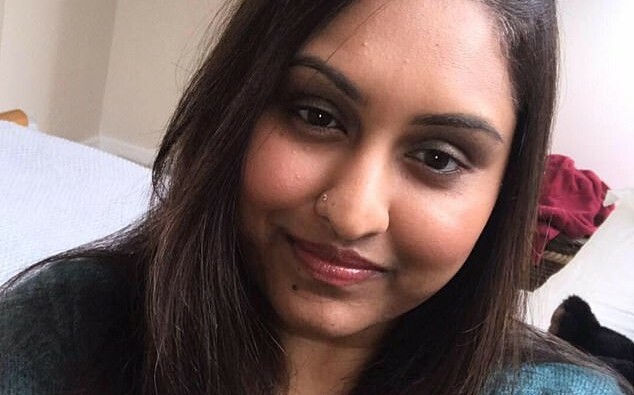 Jasmin Mistry, who is about 36 years old deceived her husband Mr. Vijay Katechia of 40 years by claiming that she was suffering from cancer, and had posted several pictures on social media trying to prove her case. Jasmine did not stop with that, she also chiselled 30 more people in the same manner. It is a well-known fact that cancer treatment options are more prevalent in the U.S than other places. So she said that she is very ill and had to undergo proton treatment. The cost of the treatment is the equivalent to millions of pounds. When her husband showed her “scan” report to his doctor friend the truth was revealed as she had downloaded the picture from Google, from that moment on the truth began to gradually be revealed. The lie had been sustained for the past four years on the basis of fake facts and medical reports. Also, Mistry continued saying that she was getting severe headaches and claimed that she had a cancerous tumour located in her spine. She then sought money for her terminal brain cancer at Snaresbrook Crown court in North-East London. She also tried to demonstrate fake symptoms like multiple trips to the toilet for her vomiting, accompanied with blood in her stools, and pretended she required help with walking up and down stairs. Mistry’s Mother-in-Law when she entered the house as a Daughter-in-Law gave her a sum of £32,000 for the treatment. Mistry’s husband Vijay has said it has haunted his life from that point of time. His sister pawned an Omega watch and gave her £4,700. Another person gave her £66,000. At last, she ended up faking a statement claiming that she had died. Mr. Vijay Katechia enumerated all the events sequentially to the court also that there was a rumour from her saying that there were death threats for her and his family members. It was found that she spent a lot of money she robbed from her family and friends on handbags.